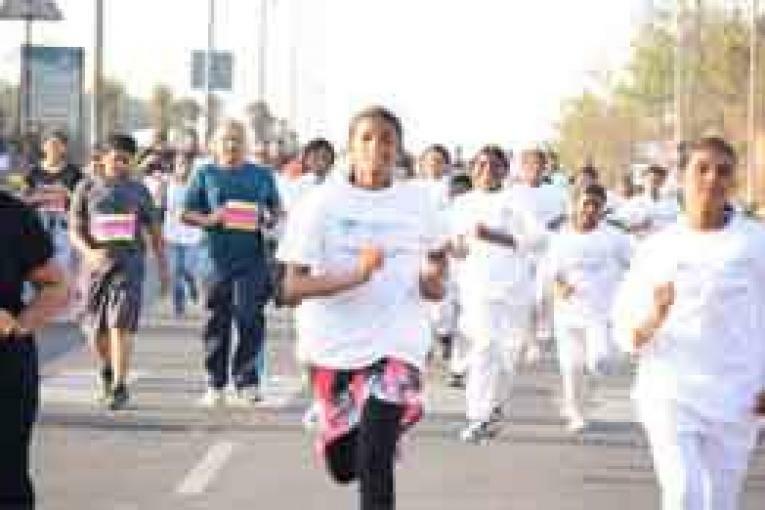 Hyderabad, Jan.20 (Maxim News): Avineon Run for Girl Child being organized in Gachibowli stadium to support Kishori Vikas and Vaidehi Kishori Vikas Yojana of Seva Bharathi today conducted 5K, 10K and 21K Runs and some 8,000 runners from 50 IT companies, including 400 Army men participated in all the three formats. First, the 21K Run was flagged off by Brig. JJS Binder, Commandant, AOC Center, along with Meghana Reddy, Gymnast, Gold Medal Winner in Common Wealth Games. Later, 10 K Run was flagged off by Cyberabad Police Commissioner VC Sajjanar, along with Prof Apparao, HCU Vice Chancellor. Lastly, 5K Run was flagged off by Arjun Ram Meghwal, Union Minister of State for Water Resources. He also participated in the 5K run encouraging the participants. Speaking at prize distribution ceremony, Arjun Ram Meghwal appreciated the efforts of Sewa Bharati for its relentless efforts in promoting Save Girl Child. Explaining various programs undertaken by the Centre for the uplift of the women, Meghwal reminded about the slogan “Beti Padao- Beti Bachao” of Prime Minister Narendra Modi. He exhorted people to encourage girl education and treat them on par with boys as equals in family. Under 21K category of Run, Rajender Singh was declared winner and second position was held by Praveen and Sony Singh came third. All the three are from Army. Under 10K Run, Prem Kunj was the winner, Yogesh was second and Krishna was the 3rd in the category, again all are from Army. Under 5 K adults category, first prize was won by Kishore Reddy and the second prize was bagged by Saraswati Rai and Supriya came third. Under 5K Kids category, Roshan, Trishna and Arunima were declared first, second and third winners respectively.